After antifa clashed with right-wing protesters in Berkeley, Mayor Jesse Arreguin argued that California “should classify [Antifa] as a gang.” Later this month, juggalos – fans of the rap group Insane Clown Posse (ICP) – will protest their own federal gang classification in Washington, DC. Gang classification is commonly misunderstood. 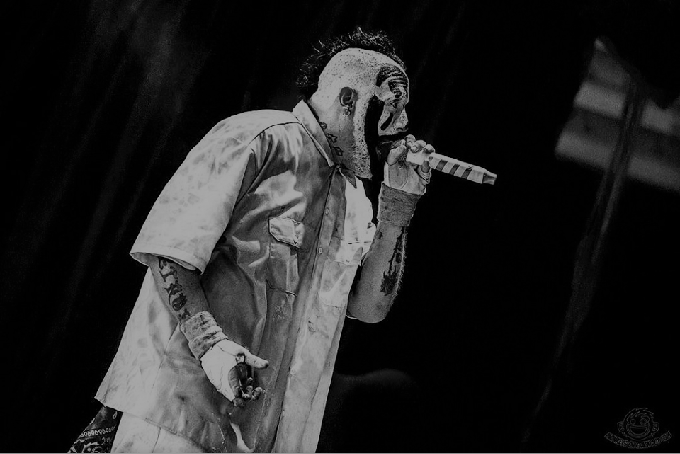 ICP themselves were originally amused and even emboldened by the FBI’s classification of their fans, since it seemed like a symbolic gesture. Indeed, there is a symbolic element. When people want juggalos, antifa, or any group legally branded as a gang, it’s partly a call for harsh public condemnation. Like actual branding, though, the mark of gang classification comes with very real physical violence. Once a group is formally classified as a gang, police can extend that status to individuals through questionable evidence. In Arreguin’s state of California, a combination of tenuous factors like social media photos, physical presence in certain neighborhoods, and association with people already designated can be enough. Consider the effect this would have with ntifa. People who post antifa symbolism are ultimately making political statements, against white supremacists, the Trump administration, or whoever. Depending on how broadly “antifa symbolism” is construed, this could even extend to more generic anarchist imagery like black flags and Circle-As. Within activist communities, it would be easy to connect dots between any given leftist or anarchist and someone already hit with gang member status. This is especially true considering the diversity of “antifa”-associated activities, which can include non-violent methods like research and ostracism. In short, classifying antifa as a gang would necessarily involve people getting listed as gang members based on political speech. Public support for antifa’s politics would be treated as affiliation, and that means more police breathing down your neck. That increase of arbitrary police scrutiny has been a major motivation for juggalo resistance to their own classification. Once the FBI declared them a gang, ICP fans across the country were aggressively profiled for their shirts and bumper stickers. Not only does gang classification mean more police breathing down your neck, it means more reason for their breath to make your skin crawl. When someone accused of a crime is also marked as a “gang member,” sentence enhancement laws can go into effect, meaning they can do more time for an otherwise identical crime. All this is especially disturbing in connection to other features of gang classification systems. For instance, only within the past few years has California required parent notification for minors placed on the CalGang database. Adults still have no right to notification. There is also no serious oversight leading to countless inaccuracies in a life-changing database. Not only would classifying a loose-knit political movement like antifa produce a chilling effect on political speech, it could also be used to legally break up activist communities. We take for granted the legality of activities like walking through a public park or meeting friends for lunch. Those the state brands with gang member status can have those basic rights restricted through gang injunctions. In a case like antifa, this very directly means the state could ban the political assembly of its critics. Outrage against antifa is typically outrage against the use of expressive violence towards speech and assembly. Antifa’s critics are right to reject that behavior. However, those who call for antifa to be classified as a gang also call for expressive violence towards speech and assembly. Moreover, the violence they demand is worse, because it is systemic, not isolated to particular skirmishes. The practice of gang classification is already bad enough as it is, adding yet another layer of criminalization to the everyday lives of marginalized people. Consider again the fact that just being in certain neighborhoods can be a factor in identifying gang membership. Implicit biases already lead police to view poor, black, and brown people with increased suspicion, and gang classification formalizes that into explicit law. Combined with sentence enhancement laws, this worsens the race and class impacts of mass incarceration. Rather than extending the scope of gang classification to disfavored political groups and music fandoms, we should abolish the practice.